Kimberly Avila serves customers at Qweenie Weenie hot dog stand Thursday, Aug. 23, 2018, in Elsa. ELSA — A few years after graduating from Weslaco East High School in 2009, Kimberly Avila packed her belongings into a Ford Focus and moved to Los Angeles where she and her fiancé sang and played guitar, hoping to break into the entertainment industry. The 27-year-old Weslaco native didn’t stray from Texas for too long, but it was in California where food trucks caught her eye, having noticed customers waiting in long lines at mobile eateries selling elotes, tacos and fusion foods. One night, she and her fiancé Bryan Nunn tossed around the idea of buying a food cart with a few friends they hosted at their Hollywood apartment. Nunn wanted to call it Qweenie, but after exploring the idea of selling hot dogs a little more, it wasn’t financially feasible. Different types of hot dog orders are prepared at the Qweenie Weenie hot dog stand Thursday, Aug. 23, 2018, in Elsa. A group of customers order from a selection as the sun sets at Qweenie Weenie hot dog stand Thursday, Aug. 23, 2018, in Elsa. Instead, she put the idea of selling unconventional hot dogs, like the chorizo and egg inside hot dog buns she grew up eating, on hold. “The idea never left my mind,” Avila, who returned to her hometown last year, said. 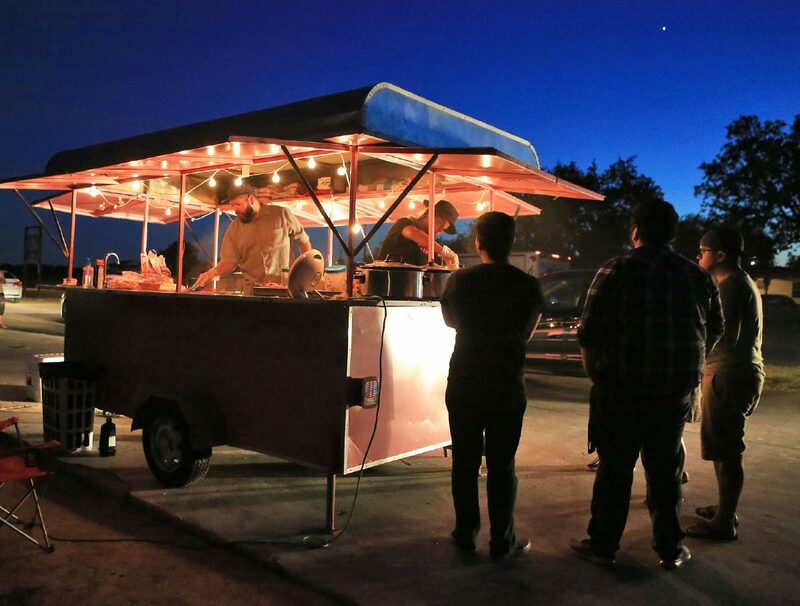 In June, Avila, with about $8,000 to her name, purchased a food trailer off Craigslist, painted it pink and invited friends to try her hot dogs topped with Hot Cheetos, salsas, elote, pepperoni, and macaroni and cheese. Though cautioned by some friends and family about taking a big risk, Avila and Nunn took it anyway, stationing their trailer in the parking lot of Iced Cube, a popular raspa stand in the Delta area. 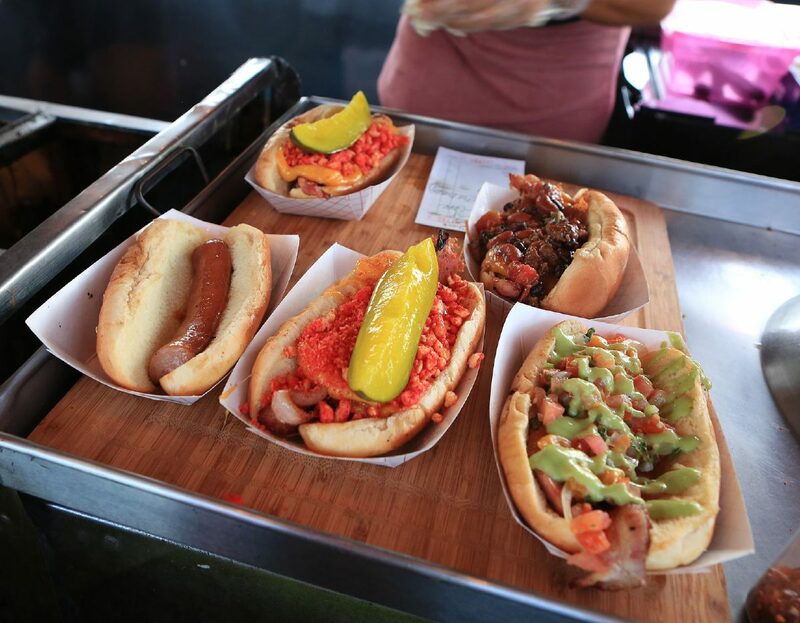 “We blew up pretty quickly,” Avila said, sitting on a picnic table adjacent to her food trailer as Nunn prepared a hot dog topped with bacon, chorizo and macaroni and cheese — one of their five staples — for first-time customers visiting from Colorado. The group heard about Qweenie through a video produced and shared on Facebook by Neta, a local multimedia website. Though it’s only been three months since their debut, residents from outside Elsa make the drive to buy the hot dogs, some waiting for 30 minutes. For Elijah Jones, 23, who took the long way home after working Thursday in Edinburg, the Dirty Dog wrapped in bacon and topped with avocado and pico de gallo was worth the wait. She asks her customers, like Jones from Harlingen, where they’re from and found most travel to Qweenie from cities outside the Delta area after seeing the hot dogs on social media. “It’s a good spot. It doesn’t stop anyone from coming,” Avila said, adding that being her own boss and working all week “really has me fulfilled 100 percent,” though she never thought she had a void to fill. 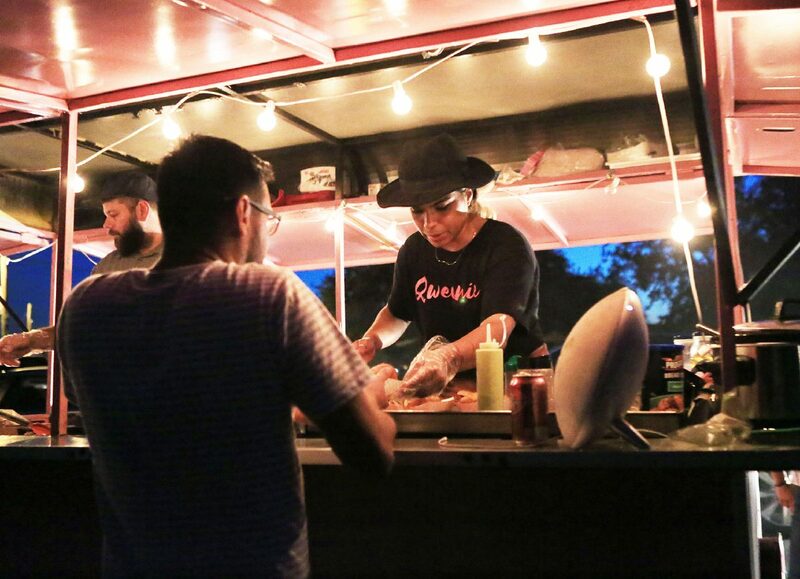 Running the food truck not only pays the rent for their one-bedroom apartment, but it also led them to a line of work they want to stick with for the long haul. Avila sold her purses and clothes to pay for hot dog topping ingredients. The business has since been making a profit. She wants others in similar circumstances to be cautious of challenging periods. “You’re going to run out of money, it’s going to be stressful, it’s going to be hard, but you can’t give up,” Avila said.